Are they really worth it anymore? Diesel engine technology isn’t exactly as popular as it once was. The Volkswagen Group can be thanked for that. And now Reuters reports that the Group’s Porsche brand is strongly considering ditching diesels completely. Porsche officials are stating that a final decision regarding its oil burners will be ultimately decided by the end of the decade, so no more than two-and-a-half years from now. Fortunately for Porsche, it didn’t rely on diesel tech nearly as much as other VW brands did. It’s not like there was ever a 911, Boxster or Cayman diesel. The first time a diesel appeared in a Porsche was the 2009 Cayenne. Given that Porsche is rapidly working to advance its EV program and its already existing plug-in hybrid tech, it doesn’t really need diesel in the long-term. In the short-term, however, diesels still account for about 15 percent of its global sales. 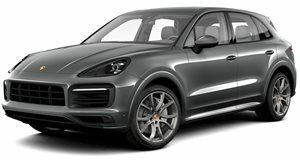 What’s more, just last month German prosecutors opened an investigation into some Porsche employees regarding their suspected involvement in those infamous defeat devices, and whether or not they were fitted to the Cayenne. Porsche was previously under investigation for emissions cheating. 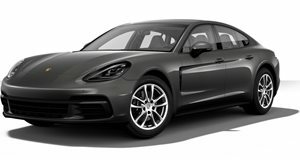 But for now, Porsche still has two models, the upcoming redesigned third-generation Cayenne and the new Panamera, with diesel engine options. Assuming all goes to plan, Porsche will see EVs accounting for a quarter of its sales by 2025, and by then diesel’s services may no longer be required.